Adidas Originals collaborated with Scottish sneaker store size? during their City Series that also includes London, Manchester, and Dublin. This collaboration celebrates the 10th anniversary of size?’s opening. 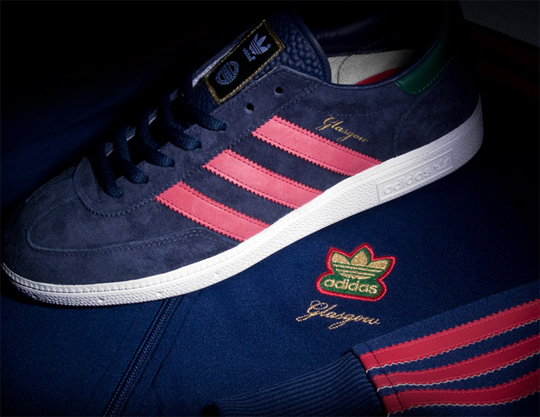 The Glasgow pack comes with a pair of Adidas Originals sneakers and a matching track jacket. They will release on September 4th and be limited to 500 units.